Power Star Pawan Kalyan’s landmark 25th movie, tentatively titled Agnatavasi, has been the most eagerly awaited film ever since it went on floors. 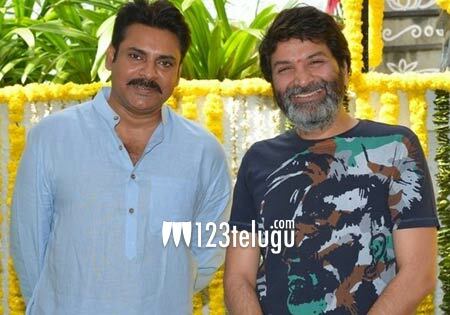 Pawan and the film’s director Trivikram have reportedly left for Bulgaria last night to kick-start the European schedule. Starting from the 29th of this month, the unit will can a couple of action sequences and two songs over a period of 15 days. The entire shooting formalities will be wrapped up by November end. Agnatavasi will be hitting the screens on January 10 as a Sankranthi treat for fans. Keerthy Suresh and Anu Emmanuel are the film’s leading ladies. Aadhi Pinisetty, Khushbu and Boman Irani are essaying key roles in the movie. Anirudh Ravichander’s music is being eagerly awaited by fans. S Radharishna is producing this high budget family entertainer.